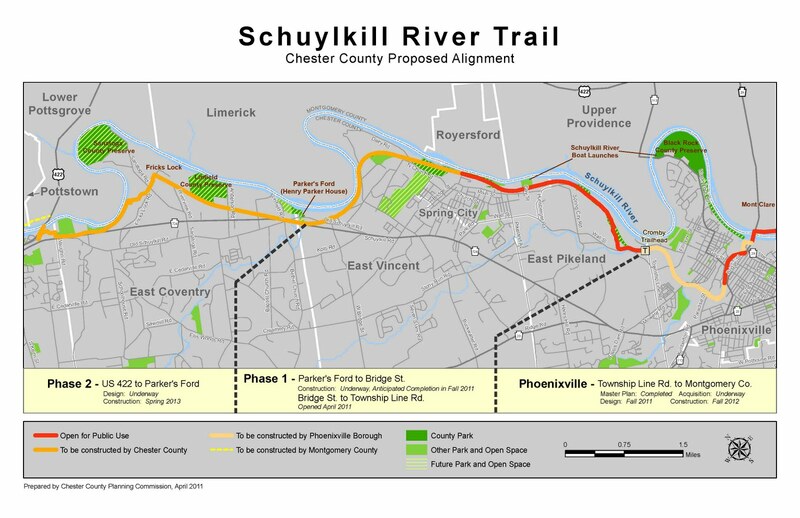 Schuylkill River Trail Phase 1 in Spring City, Chester County Ribbon Cutting, Tuesday, October 25 at 1pm. All cyclists are welcome and urged to come! 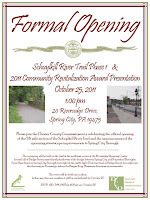 Please join the Chester County Commissioners in celebrating the official opening of the 5.6 mile section of the Schuylkill River Trail and the announcement of the upcoming streetscape improvements to S pring City Borough.